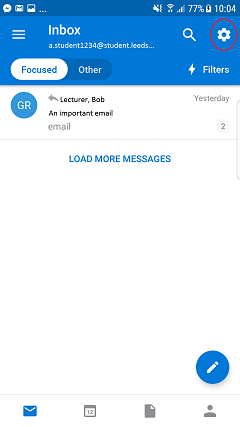 I have added my student email to the Outlook App - why am I not receiving any new emails? 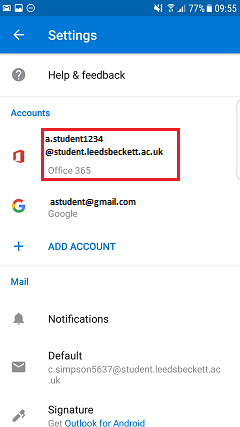 If you are not receiving any emails in the Microsoft Outlook App, it may be that the account has been set up incorrectly. You will need to delete the account and set it up again. 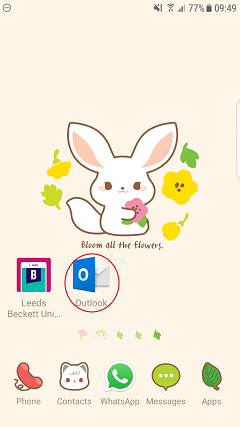 To delete the account first locate the Outlook App. Click the cog in the top right hand corner. ​Select the account that you wish to delete. 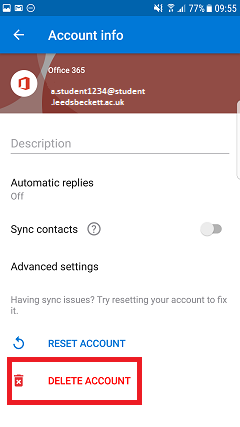 To set up your account again, please follow the instructions for setting up your email via an iOS or Android device on the Library Website.